Animal print at its finest. 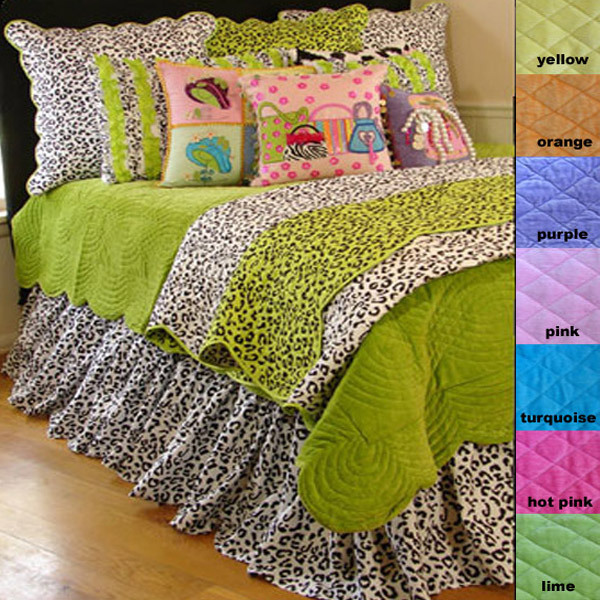 Leopard quilts and pillows, shams and dust skirt. Bright, cool bedding, any tots dream. Lime green with a mix of animal. Handbags, hats, hearts, funky to sweet children with a flair for décor.